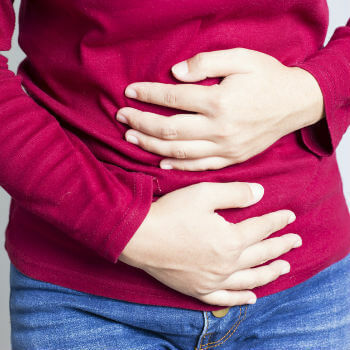 Stomach pain can happen for a number of reasons. It can occur just after eating, or come on quite suddenly for no obvious reason. 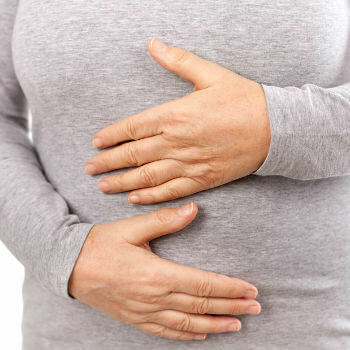 While stomach pain is usually not serious and will pass on its own in a few days, in some cases it can be a sign of something more serious and requires urgent advice from a doctor. If you’re worried, our doctors can see you in minutes using your smartphone, tablet or desktop device. Not all stomach pain feels the same. Cramps, bloating, wind, nausea and vomiting are some of the most common symptoms you might notice, all of which can improve if you go to the toilet. However, stomach pains are often joined by difficulty going to the toilet. Specifically, constipation and diarrhoea can be a problem. Stomach pain is often felt as a dull, throbbing ache that won’t go away. On the other hand, it can sometimes be a sharp, sudden pain the you feel in just one area of your stomach. That second option is more likely to be a sign of something serious, so you should speak to a doctor straight away. Once a doctor has given you a diagnosis, they’ll be able to suggest treatment options. 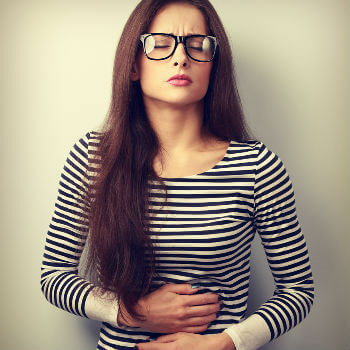 With so many possible reasons for your stomach pain, the best thing you can do is listen to their advice regarding any medication or lifestyle changes needed to treat your stomach problem. If you need a prescription, they can write this for you and you’ll be able to collect the medicine from a pharmacy of your choice. Some issues, such as food poisoning, UTIs or a pulled muscle, will go away on their own if you simply rest at home. For example, if you have food poisoning, you just need to make sure you stay hydrated and eat small, bland meals when you feel able to. Conditions such as IBS may require a fundamental change in your lifestyle, as you’ll need to work out which foods causes symptoms such as stomach ache. Our doctors can help you plan your approach to this and provide reassurance as you adjust to your new diet. A sharp pain usually requires urgent medical attention, so you should seek emergency help in these cases.